Food doesn't have to be bring, especially at a party. Children love food that looks fun too and it's nice to see the effort that people put into it. Here are a few examples at a party my better half went to (the cheese cake was another recent occasion) . All the items were made by - or in the case of the ark project contributed to - by a very talented friend of ours. 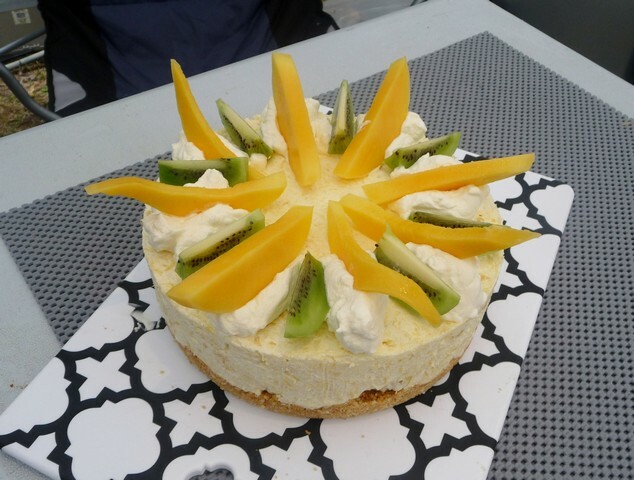 A cheese cake with a difference. That's mango on top with kiwi fruit. 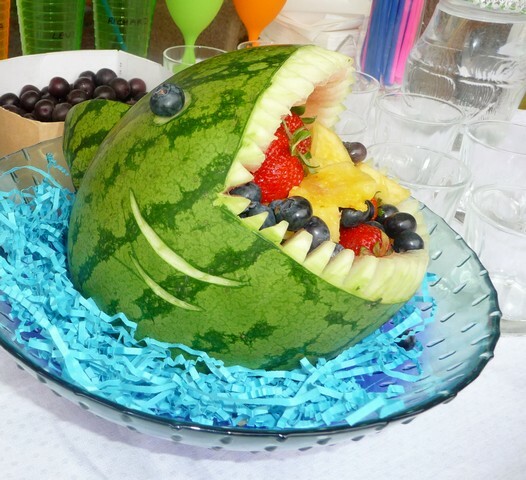 How about a watermelon with fruit salad inside! 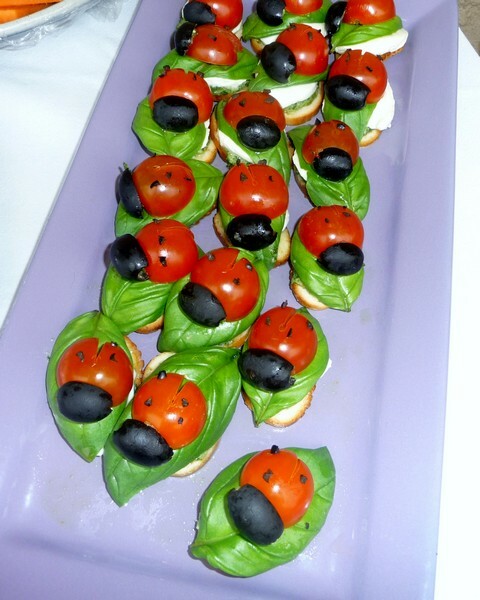 No, not ladybirds but half cherry tomato, black olive & basil leaf. Underneath is cheese, pesto and crusty bread.